Almost everything about Brexit is still uncertain, but one thing is for sure: it will lead to big losses for everybody. A hard Brexit will cost EU countries €40 billion annually, a study on the impact of Brexit on EU incomes from the German think tank Bertelsmann Stiftung has found. New tariffs after the UK leaves the EU single market would make trade in goods and services very expensive. Only China and USA will benefit from Brexit, the study says. The UK would face the biggest income loss: €57 billion per year, or €900 per capita, Germany and France, both export-oriented countries, would lose respectively €10 and €8 billion per year, while Brexit would cost Italians around €4 billion. “The regions affected the most are typically those that have strong industry, for example the automotive industry in countries like Germany and parts of Spain and Italy. Also, financial services and IT services trade with the UK would be affected. And generally, we find that highly productive regions (like some Scandinavian hubs) would lose out the most”, the economist Dominic Ponattu of Bertelsmann Stiftung says. He conducted the study with Giordano Mion of the University of Sussex. In the UK, the London region alone would be hit hardest by a hard Brexit, with a loss of €5 billion per year, followed by Berkshire and Surrey. “The regions most affected in absolute terms would be southern English regions (like Kent, London and Essex)", the study found. "The closer to the continent, the stronger the impact of a hard Brexit. Lombardia would also be strongly affected at €800 million per year”, Ponattu told Euronews. Smaller and most productive regions are the ones that will suffer more from a hard Brexit. Ireland, which has been at the center of the Brexit negotiations between the EU and the UK, will suffer in a no-deal scenario: the country could face a welfare loss of €3.5 billion per year with a hard Brexit. In Germany, the cities of Dusseldorf (€650 million) and Cologne (€560 million) would be affected the most. A soft Brexit remains the best desirable scenario: It would reduce the income loss in the entire EU to "only" €22 billion per year. 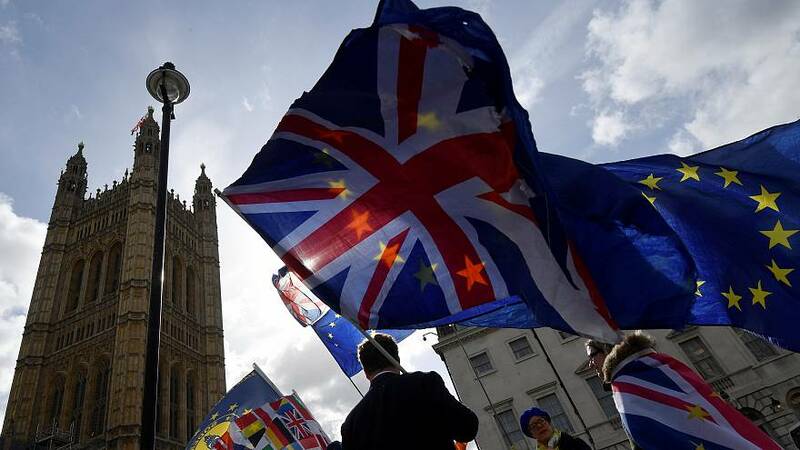 "Brexit could seriously damage the foundations of the world's largest economic area", said Aart de Geus, Chairman of the Bertelsmann Stiftung. "Brussels and London must do everything they can to achieve an agreement." Outside Europe, there are countries and continents ready to toast to the UK's exit from the EU: US incomes could rise by around €13 billion annually in a hard Brexit situation. In China, annual income would rise by around €5 billion, and in Russia such a scenario would lead to a slight increase of around €260 million annually, according to the analysis. Brexit, hard or soft, is going to affect key sources of growth as well as competition, causing negative costs on European economies. What is certain is that Brexit will dampen growth potential in the UK and Europe.